The first time I read Salt: A World History by Mark Kurlansky, I was blown away. Kurlansky manages to turn a book about an everyday object—one that you and I have seen in every kitchen, every restaurant, and on every table we’ve ever sat down to eat at, throughout our lives—into an utterly fascinating page-turner. I was hooked and have since reread Salt many times and moved on to his other microhistory books, like Cod, Paper, and the latest Milk! : A 10,000 Year Food Fracas. Funny and endlessly fascinating, all of these books have interesting stories, historic recipes, and enough facts to make any reader “Did you know?” royalty. And Kurlansky’s books are just the tip of the iceberg! There are so many great microhistories, ranging from subjects like butter and cotton to champagne and the color indigo. Check out this list of 50 must-read microhistory books for hours of enjoyment. Those are just some of the great books that made my list. Check this post out in full on Book Riot. My boyfriend and I visited Nashville earlier in the summer (How is it August already?) and we had the most amazing time. We visited the Country Music Hall of Fame and Museum (see Elvis’s gold Cadillac), RCA Studio B for a studio tour, the Ryman Auditorium, and Belle Meade Plantation. And for me, we of course stopped off at the Nashville Public Library (see the great book statue in front of the library) and Parnassus Books, an indie bookstore co-founded by author Ann Patchett. We also had some truly amazing meals. 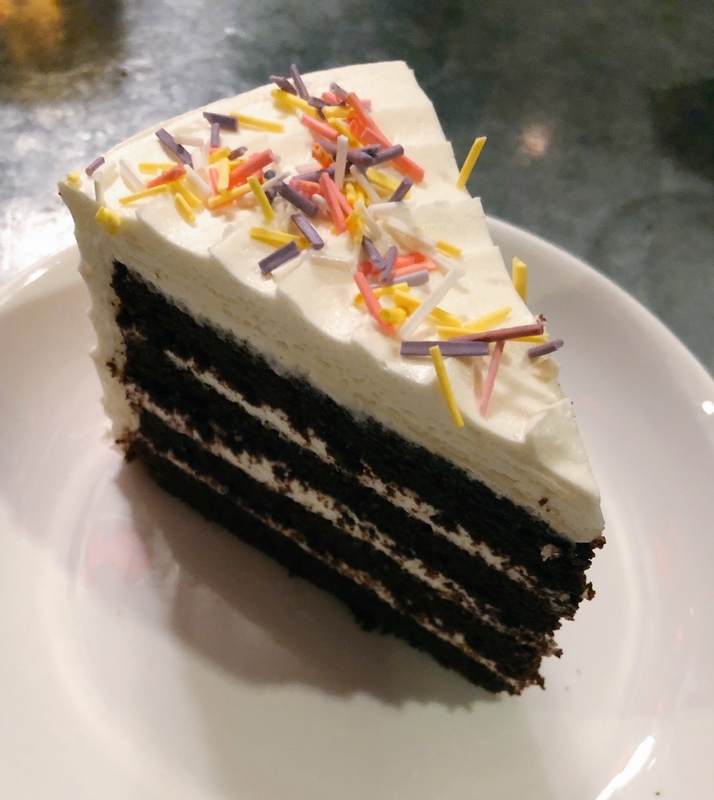 We visited Husk, Nashville from Chef Sean Brock and had this interesting and mouthwatering Southern meal and Chauhan Ale and Masala House from Chef Maneet Chauhan, an Indian restaurant with some influence from Nashville and southern cooking. It was our favorite meal of the trip! There’s nothing quite like leftover birthday cake and coffee the morning after your birthday celebration. Especially when it’s the amazing birthday cake from Myers + Chang. It was a wonderful weekend of great food and even better friends! Prepare yourself for some particularly droolworthy upcoming food and cookbook releases this spring! 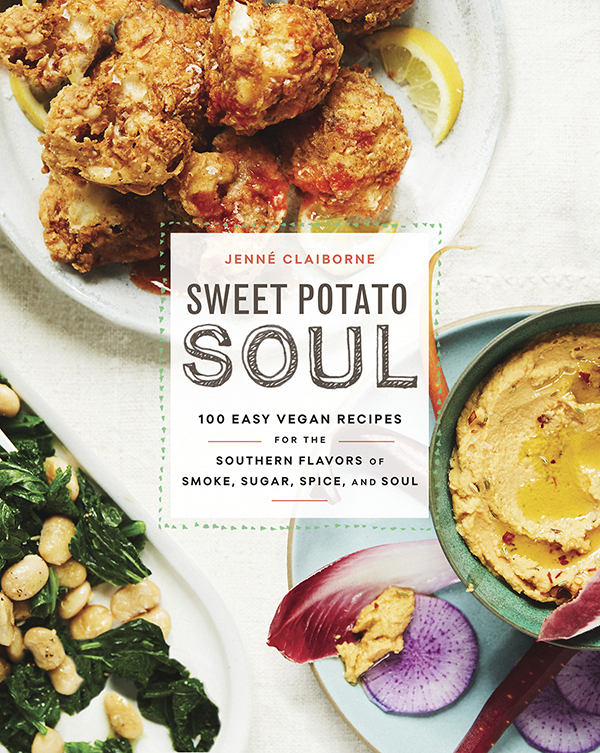 Vegan cookbooks are so hot right now, and out of all of the amazing vegan cookbooks coming out this spring (notably: Hot for Food Vegan Comfort Classics and Vegan 100: Over 100 Incredible Recipes from Avant-Garde Vegan) I’m most interested in Sweet Potato Soul from NYC-based blogger, personal chef, and cooking instructor Jenné Claiborne. Claiborne’s food looks amazing—comforting and substantial with beautiful colors, textures, and flavors. Fermentation is a continuing trend in cookbooks from 2017 and I can’t get enough of it! Kimchi is a must-have in my house and I make it in 8-lb batches way more often than I’d like to admit. (I use Maangchi’s recipe for anyone interested.) Fermentation Revolution is more than just fermented vegetables, but a wide range of recipes and techniques for fermenting fruits, sugars and honeys, grains, and more. Think about all of the objects in your kitchen, from the much-loved wooden spoon to your fancy, pastel-colored Kitchen-Aid mixer; all of these items have a story. Through 100 familiar kitchen objects, The Modern Kitchen examines notions of gender, class, and more and provides a “portrait of our domestic lives.” It might seem a little obsessive for some, but the photographs and extensive information will hit the sweet spot for the kitchen collector or food geek who loves to stroll through the aisles of Crate & Barrel or Williams Sonoma. It wouldn’t be a real foodie-worthy list without a book from the editors at America’s Test Kitchen, and this one takes the cake! (Sorry, not sorry) The recipes range from sheet cakes and special occasion cakes to cupcakes, cake pops, and cheesecakes. 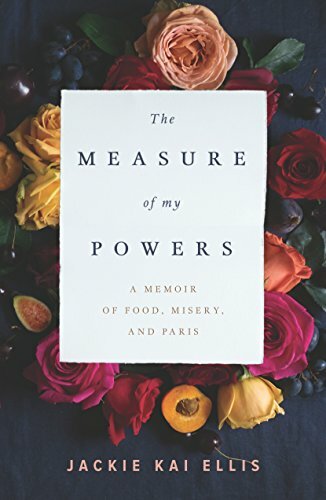 The jacket copy of The Measure of My Powers likens the book to Eat, Pray, Love, H is for Hawk, and Wild. That got my attention! Jackie Kai Ellis journeys to France, Italy, and the Congo to find herself, her happiness, and a path for a different kind of future. It sounds amazing, particularly her time at pastry school in Paris. Ellis is the founder of Vancouver’s Beaucoup Bakery and the leader of The Paris Tours, a culinary excursion group. Another powerful memoir coming out this spring is Feast: True Love in and Out of the Kitchen by Hannah Howard. Feast is a “compulsively readable memoir of a woman at war—with herself, with her body, and with food—while working her way through the underbelly of New York City’s glamorous culinary scene.” It looks like an incredibly heartbreaking must-read. Chef James Syhabout has created an amazingly vibrant and personal cookbook dedicated to recipes for cooking home-style Thai and Lao dishes. With recipes ranging from sticky rice and Lao beef noodle soup to Lao minced pork salad, every single recipe looks exciting and delicious. Wow. Wow. Wow. This powerful and astounding cookbook is not about fusion cooking. It’s about the intersections of the African and Asian diasporas and how they have “criss-crossed cuisines all around the world.” Alexander Smalls and JJ Johnson have built this unique understanding of the Afro-Asian-American flavor profile in their renown and historic Harlem restaurants, Minton’s and The Cecil, and are now sharing over 100 recipes in Between Harlem and Heaven with readers and home cooks. I love globe-trotting botanists! 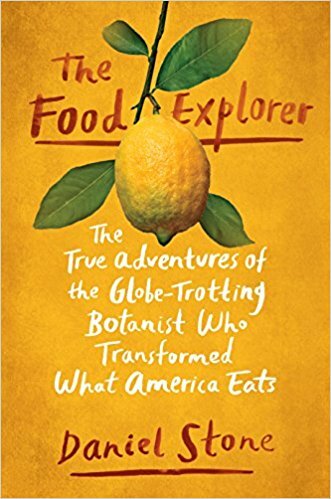 The Food Explorer tells the true adventures of David Fairchild, a late-nineteenth-century food explorer and botanist who traveled the world and introduced plants and crops such as kale from Croatia, mangoes from India, avocados from Chile, pomegranates from Malta, cotton from Egypt, and the cherry blossom tree from Japan, all to America. This fun and beautifully illustrated collection of recipes will have you serving up some seriously sparkling cocktails. Also includes purchasing and serving tips and a guide to cordials, syrups, and liqueurs. It would make a really fun gift for the bellini lover in your life. It’s a snow day here in Boston—the perfect weather for a hot soup. 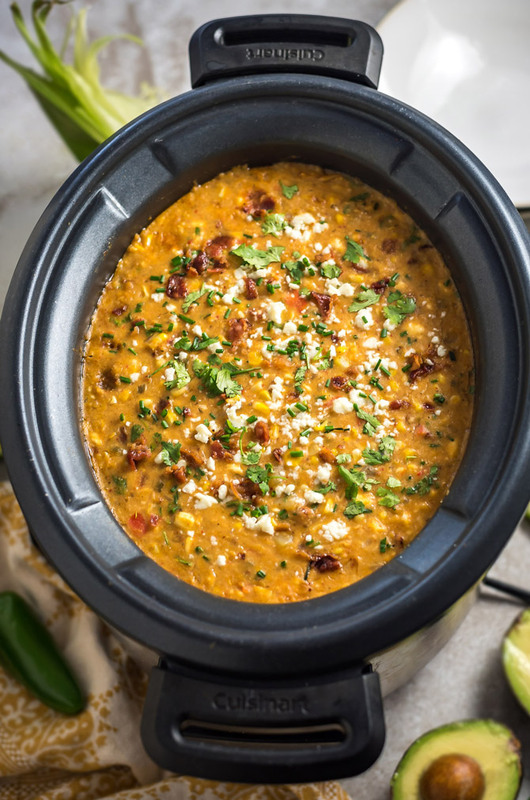 I immediately thought of Host the Toast’s Slow Cooker Mexican Street Corn Chowder recipe. 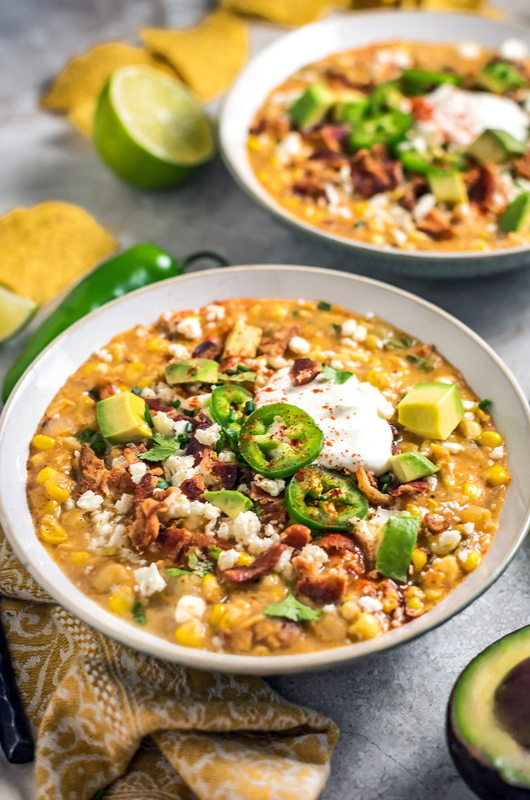 It’s easy, flavorful, and creamy with a great kick! All of the credit for this amazing recipe and the pictures goes to Morgan at Host the Toast! 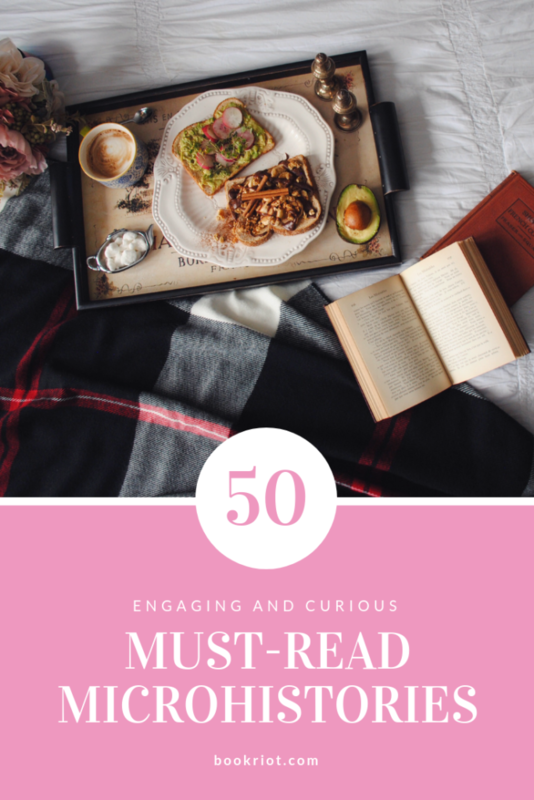 Delicious reads for the holidays! Delicious books that will pair nicely with all of your holiday plans. And they make fantastic gifts for the foodie in your life! This is arguably one of the most important cookbooks to come out this year! 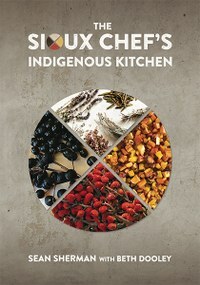 Sean Sherman is a Oglala Lakota chef and the founder of The Sioux Chef, a company that not only creates and caters Native American cuisine but also educates the Minneapolis/St. Paul region on indigenous food. Sherman focuses on seasonal and indigenous ingredients (no European staples like flour and sugar) and the recipes reflect this—they look vibrant and mouthwatering. It’s not just a cookbook, though, and the personal stories and history in the book make it a real treasure. 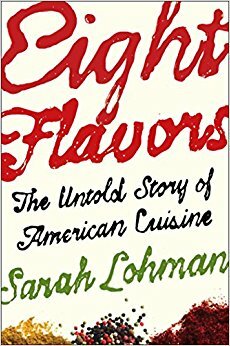 Eight Flavors is a delightful and utterly fascinating culinary history of America. Historical gastronomist Sarah Lohman examines American history, culture, and what she calls the “changing culinary landscape” through eight flavors that she argues are influential to American cooking. The eight flavors are: black pepper, vanilla, chili powder, curry powder, soy sauce, garlic, MSG, and Sriracha. In each chapter she explores a flavor and the history of how it made its way to the American table. 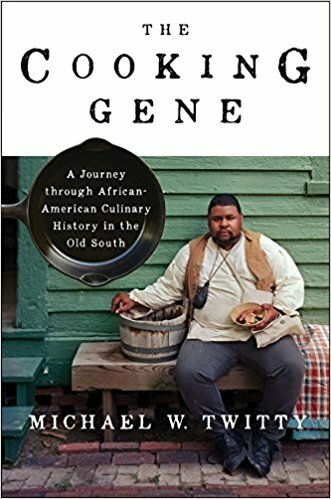 I love a good food memoir and The Cooking Gene by Michael W. Twitty is a powerful and compelling memoir of Southern cuisine and food culture. Twitty traces his personal ancestry through food and cooking in this great mixture of stories, recipes, historical documents, genetic tests, and details from his own travels—it’s a combination of everything, but it comes together beautifully. And between the illustrations, the color photographs, and the recipes, it’s a striking book. 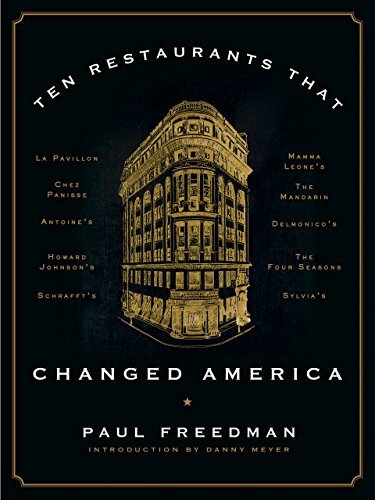 More than just a collection of profiles, Ten Restaurants That Changed America is a social and cultural history of “dining out in America.” Freedman discusses ten historically significant American restaurants and the history and events that shaped them (and that they in turn influenced.) The restaurants include: Delmonico’s, Antoine’s, Schrafft’s, Howard Johnson’s, Mamma Leone’s, The Mandarin, Sylvia’s, Le Pavillon, The Four Seasons, and Chez Panisse. It’s also a gorgeously designed book with photographs and menus scattered throughout. I’m finishing this list like I’ll be be finishing off my Thanksgiving meal—with a glass of wine. Bianca Bosker’s Cork Dork is the perfect light, fun (but surprisingly informative) read for your holiday weekend. 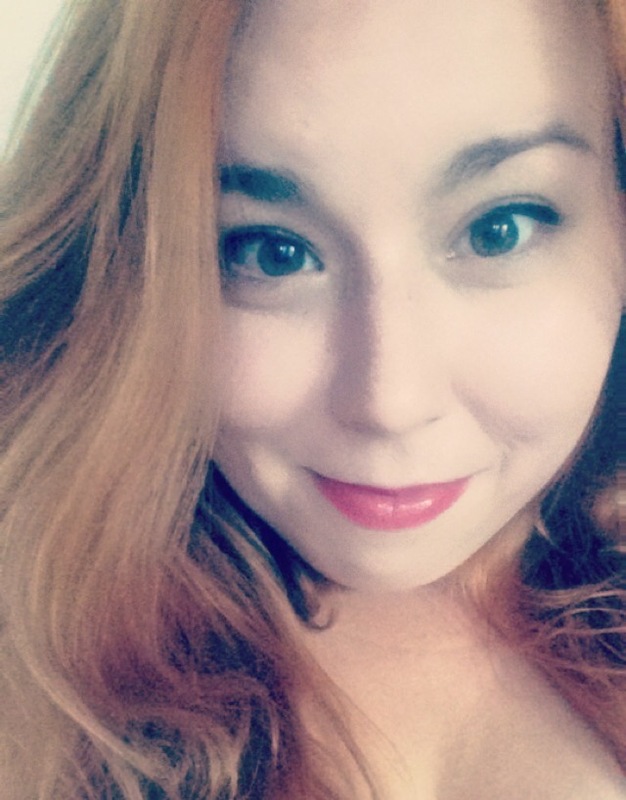 Bosker is no wine expert, but a tech journalist who decides to learn all she can about wine and try her hand at the Court of Master Sommeliers exam. 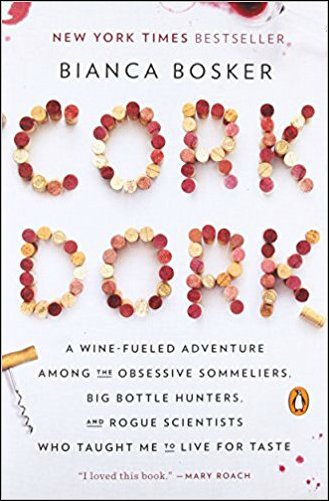 Full of wine history, science, tastings, and more, Cork Dork is an immersive and obsessive, but ultimately delicious read.